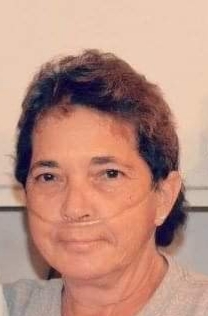 -Springfield- Mrs. Angela “Angie” Faye Tant, 54, passed away Tuesday, March 19,2019 at Memorial Hospital. Angie was a beloved mother, great sister, and the best Nanny in the world. She enjoyed playing Rummy and she loved a good plate crab legs. She is preceded in death by: her parents, Harry and Victoria Derverges; and brother, Harry Derverges, Jr. Survivors include: her husband, Randell Tant; children, Nichole Johnson (Anthony) of Springfield and Michael Tant (Jessica) of Rincon; sisters, Shannon Derverges of Rincon, Rhonda Coleman (Chris) of Guyton, Shelia Coleman (Lamar) of Guyton and Darlene Williams (Terry) of Ellabell; grandchildren, Camron Hughes, Emma Johnson, Alexander Johnson, and Baby Tant; and a number of nieces and nephews. Visitation will be held at Riggs Funeral Home on Saturday, March 23, 2019 for 3 – 5PM with funeral services to follow at 5PM in the chapel of the funeral home.